At Wednesday's budget rollout, from right, Gov. Martin O'Malley, Lt. Gov. Anthony Brown, Budget Secretary Eloise Foster, Chief of Staff John Griffin. IMarch 15, 2011, Alvin Thornton (in suit) and union leaders head march to State House. The largest unions representing state workers and public school teachers are upset at Gov. Martin O’Malley’s decision to permanently cut $100 million from extra payments into the state pension system. The money came from additional employee salary deductions required by a 2011 pension reform, and was intended to help cure underfunding in the pension system. The Board of Trustees of the State Retirement and Pension System, headed by State Treasurer Nancy Kopp, is also opposed to reducing the promised $300 million payment down to $200 million. This delays the goal of funding of the state pensions system at 80% by a full year, from 2024 to 2025. The pension system was 100% funded 12 years ago, but 80% is the accepted standard for public systems. MarylandReporter.com raised the issue at the governor’s news conference on his proposed budget Wednesday. O’Malley had not mentioned cutting the pension payment in his presentation, even though it is listed as the largest spending reduction he is proposing to balance next year’s budget. 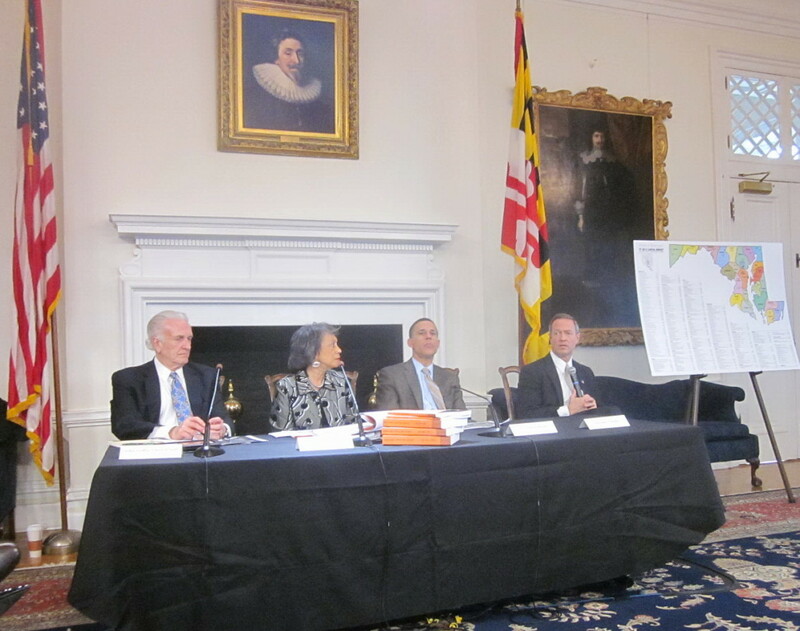 On Thursday, representatives of the American Federation of State, County and Municipal Employees and the Maryland State Education Association told a reporter that they were not aware of the $100 million cut in this year’s pension payment. The union representatives also seemed totally unaware that O’Malley wanted to make the cut permanent by changing the law in the Budget Reconciliation and Financing Act of 2014 (page 11) that he introduced Wednesday to implement the budget. But the permanent cut is exactly what Foster recommended in a report sent Wednesday to the budget committees and the Joint Committee on Pensions. Foster’s report also includes the position of the pension board; it “strongly recommends” that the state continue to make the $300 million payment. The board said the savings achieved by restructuring benefits should be plowed back into the pension system, which is currently only about 65% funded. “It should be noted that of the total $300 million reinvestment, approximately two-thirds is a result of the fact that the reforms increased employee contributions,” the board said. The 2011 pension reform legislation, which O’Malley pointed out caused “the largest public employee protest” of his administration, raised employee contributions from 5% to 7% of salary. At Wednesday’s budget rollout, from right, Gov. Martin O’Malley, Lt. Gov. Anthony Brown, Budget Secretary Eloise Foster, Chief of Staff John Griffin. The cut in the pension payment will save the state $1.2 billion over the next five years. The state has not making its full annual required contribution established by the outside actuaries for more than a decade. Only last year did it approve a change to the funding method to address the shortfall. The $300 million cap on reinvestment of pension savings was controversial in 2011 at the time the pension changes were passed. The teachers union wanted even more money put back into the system. MarylandReporter.com’s continuing work on public employee pensions is partially funded with a grant from the Abell Foundation.